For many Philippine businesses, managing staff in the field presents several unique challenges. From having to capture operational data from remote staff to ensuring that things are running as they should, current management and communication tools can be slow and cumbersome to use. More importantly, not everyone in the field has access to a PC and even those who do could only respond when they were logged into the system. For these organizations, a convenient, secure, and mobile tool for a remote work management environment is required. There are hundreds of thousands of front-line workers in the Philippines working in banks, services, manufacturing plants, department stores, and other industries. Their insights in their first-hand dealings with the customers are important to the company but they typically don’t have a dedicated work space or computer. Department store staff, bank tellers and promodisers generally use pen and paper or their personal phones for work-related communications. This makes it more difficult to communicate with their managers or report to the headquarters regarding task-related concerns. Consumer messaging apps offer a band-aid solution but often lack security and control while creating a custom app can get expensive. For management, assigning and tracking tasks is cumbersome, and aggregating data analytics can be time consuming. But Microsoft Kaizala makes this all easier. Introducing Microsoft Kaizala — a mobile app and service for communicating and coordinating work in large, distributed groups. Now available in the Philippines, Kaizala makes it easy to connect with large groups of people inside and outside your organization. These can include employees, customers, and suppliers. It enables organizations to manage work with their extended teams through a single, unified platform — all on their mobile phone. Security remains a top priority for most organizations, and Microsoft Kaizala provides the controlled access and data security that they need. Azure Active Directory services authentication ensures secure access to the Kaizala Management Portal, where IT administrators can control membership of all groups, remove users in one instance, and control user access to sensitive data. Microsoft Kaizala maintains user privacy and stores data in Azure datacenters that adhere to industry standards for security and compliance. Many front-line workers don’t have their own company email address or access to internal tools, which makes it hard for managers to share and collect important information. Microsoft Kaizala enables managers to easily reach very large numbers of users within and outside their organization, using a simple and intuitive chat interface. Organizations can broadcast information – such as announcements, photos, videos, or documents, collect data from the field through polls or surveys, and see real-time analytics as results come in. Users can be quickly onboarded by using just their phone number as a unique ID. “Most businesses work with several partners, distributors, and stakeholders who are not on the company’s email address list, so communication can be slow and unsecure. With Microsoft Kaizala, they can better connect and coordinate with the entire team. 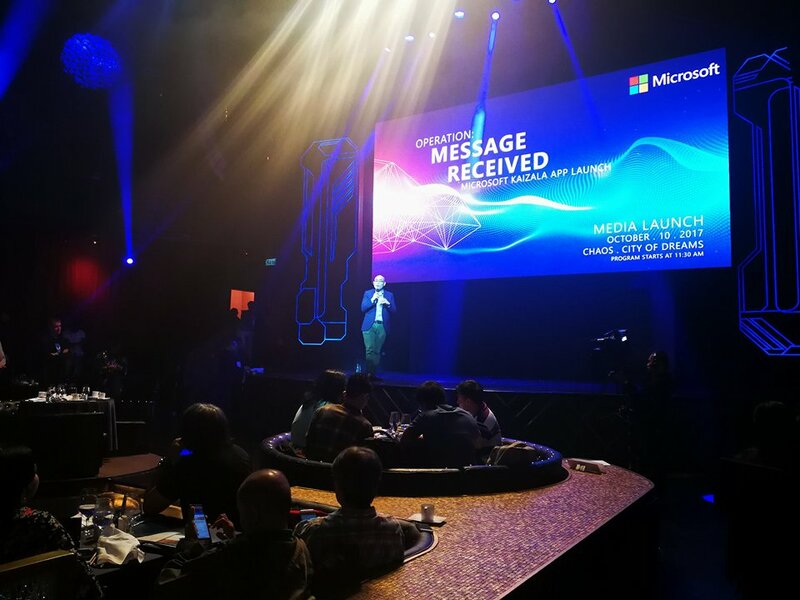 As internet usage increases, we believe it will be easier for organizations to communicate with all their stakeholders, wherever they are in the Philippines,” said Bertrand Launay, Microsoft Philippines Managing Director. Microsoft Kaizala makes it easy to coordinate work with a company’s entire value chain – field employees, vendors, partners – with a simple work assignment workflow and real-time status tracking—right within the app. Companies can assign and track frequently-used tasks with built-in actions for common work scenarios, such as assigning jobs and tracking completion status, sharing and requesting location, submitting bills, and tracking expenses. Microsoft Kaizala makes it simple for organizations to seamlessly communicate, collaborate and complete tasks, bringing together desktop users and mobile-only users who may be within or outside their organizations.